IRVING, Texas -- Marshall freshman forward Erin Simmons was named to the Conference USA All-Conference third team and the All-Freshman team on Tuesday. AUGUSTA, Ga. --Marshall freshman punter Tyler Williams was named to the Ray Guy Award Candidate List, as announced by the Augusta Sports Council on Monday. HUNTINGTON, WV - Marshall begins its men’s basketball season with an exhibition on Monday at 7 p.m. against Bluefield College at Cam Henderson Center. CHARLOTTE, N.C. -- Marshall redshirt freshman running back Kevin Grooms was placed on the College Football Performance Awards National Freshman Performer of the Year Watch List, the outlet has announced. Grooms and UAB quarterback Austin Brown were the only two Conference USA honorees to make the list. The 5-foot-10 Grooms is tied for fifth in C-USA in touchdowns with seven (a team-high six on the ground) and is sixth in the league in rushing at 71.8 yards per game. His 431 rushing yards through seven games ranks eighth among Marshall freshman running backs since 1992. HUNTINGTON, WV -- In the final match of its 2012 regular season campaign, the Marshall women’s soccer team will travel to Greenville, N.C. for a Conference USA bid with East Carolina. HUNTINGTON – Those recent Subway footlong sandwich commercials – “ 5 … 5 … 5 …” – have nothing on Marshall’s football team. Granted, the Thundering Herd is only at the halfway point of the 2012 season, but the team’s running game is on target to do something no MU team has done since the Herd returned to major college football in 1997. HUNTINGTON, WV - Marshall quarterback Rakeem Cato was named as one of 10 additions to the Manning Award Watch Liston Wednesday. The award is presented to the nation’s top collegiate quarterback, and the winner will be announced after the bowls in January and will be honored at a banquet in New Orleans. BETHPAGE, N.Y. - Marshall tight end Gator Hoskins was named to the John Mackey Award Watch List Monday afternoon by the Nassau County Sports Commission. 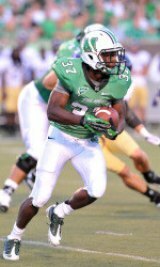 The Herd standout joined Rice’s Luke Willson as the only Conference USA representatives on the 26-man list. HURRICANE, WV -- Marshall women’s soccer senior day was spoiled Sunday at Hurricane High School as the SMU Mustangs defeated the Thundering Herd 1-0. After demolition of the Veteran’s Memorial Field House last year, cheerleading teams from Tri-State Youth Football League, Inc. found a new venue for its 13th Annual Cheer Competition at the Cabell Midland High School gymnasium. The leagues are divided into two divisions, small and large. Small division teams have 12 members or less. Large division teams have 13 members or more. 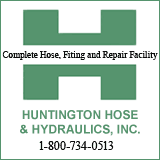 Fifty one teams represented all sixteen leagues at the competition, a first for Tri-State Youth Football League, Inc.
HUNTINGTON, WV – Marshall kicked off the men’s basketball season with its annual Thundering Herd Madness Friday inside the Cam Henderson Center. 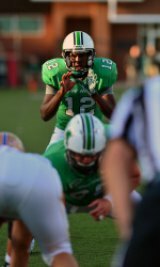 CLEVELAND, Ohio --Phil Steele released his midseason All-Conference USA picks late Wednesday evening and the Herd wound up with 11 selections, five of those first-team honorees. 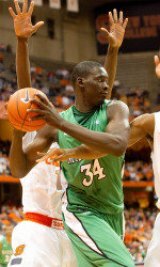 HUNTINGTON, WV – Marshall head coach Tom Herrion announced Thursday that DeAndre Kane, Nigel Spikes and Dennis Tinnon will serve as captains for the upcoming men’s basketball season.